Offering reliable production at competitive prices is only a start for our ways of offering value to our customer. run-of-the-mill parts can only go so far. 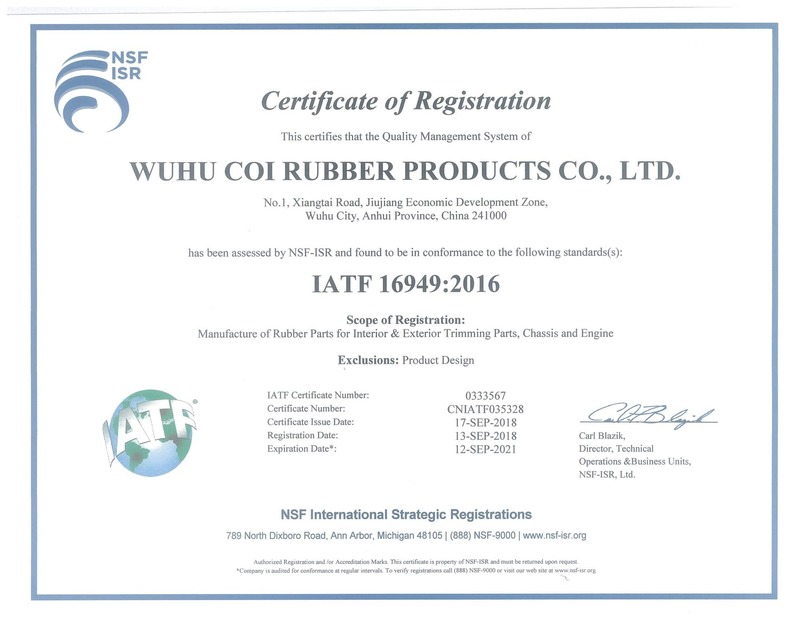 Coi Rubber offers a comprehensive solutions to complex problems. Whether it is from a material, geometrical, or form fit and function, our team is here to listen to your needs and develop the perfect solutions at the beginning of your design stage. Your business and profitability is important to us. If our products perform better, lasts longer, or simply out performs a competitor component, we’ve effectively brought value to your business. That’s why our product design and engineering team has expertise not just in mechanical engineering, but in the rubber and plastic materials, mold making and testing. The group includes members with specialized expertise in specific product lines, including molded hoses, shaft seals, molded surfacing products and vibration-control products. Team members use the latest design and testing technology to create drawings that are compatible with customers’ systems and to verify that parts can withstand real-world demands for both performance and manufacturability. Our designers use Solidwords, Pro-E, and may other design softwares and emulators to begin the work and interact with your formats. When the initial product design is complete, our Rapid Tooling center can make a mold and quickly produce prototype parts. Read more on process controls.